We are grateful to God cheap MLB jerseys for leading us into the sixth month of our ongoing press toward Kingdom Destiny and the fulfillment of our Kingdom Assignment!!! We thank God for all calibración that He has planned, purposed, and promised for us, in this year of SPRINGING FORTH!!! Our declaration wholesale NBA jerseys remains consistent and continual through every step of the way, that in Him alone we are FAITH STRONG!!! We steadfastly believe that there is power in wholesale NFL jerseys our prayers!!! By FAITH, we trust and believe that God hears Asiko and answers us and no matter what, we TRUST God, as we lift wholesale nba jerseys our Those voices in PRAYER and BELIEVE that our PRAYERS can and will change everything. To that end, our prayer campaign continues as we gather together each weekday morning @ 6:15 AM and every Tuesday evening @ 8:30 PM!!! 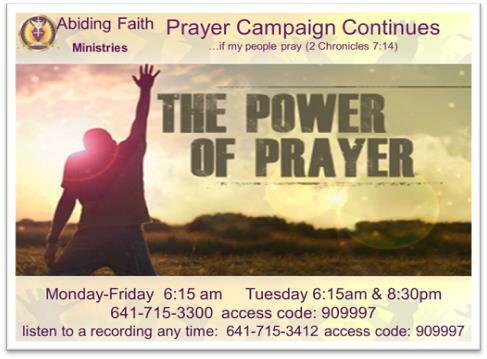 Join with us as we kick-off each day in the unity of prayer and thanksgiving, jumpstarting our mornings together in prayer!!! We believe that our prayers together and for one another shall accomplish much and will change cheap mlb jerseys everything!!! Therefore, together let us lift all things before our God, FAITHFULLY TRUSTING HIM, FAITH STRONG, PRAYING CONTINUALLY through all things, firmly rooted in His Word and standing fast on every promise, with the declaration “I’m off and running and I’m not turning back”, determined to GO ALL THE WAY WITH JESUS…ALL BY FAITH!! !